Due to the generous support of the Friends of the Wells Public Library, the library is pleased to offer discount passes to several area museums. Please contact the library to inquire about availability. Only one pass per museum is available per day. Free passes are available to the Portland Museum of Art, good for 2 adults and up to 6 children per day. On the day of your visit to the Portland Museum of Art, present the pass at the admission desk. The Portland Museum of art is located at the corner of High and Congress Streets in downtown Portland. 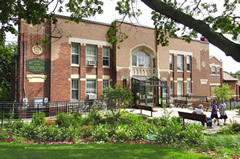 For more information on exhibitions, programming, and hours of operation call 207-775-6148 or visit their website at http://www.portlandmuseum.org/. We are pleased to offer a single-use pass which will allow free admission for 4 people to the Ogunquit Museum of American Art. The library can extend only 1 pass per day on a first-come, first-served basis to library patrons. 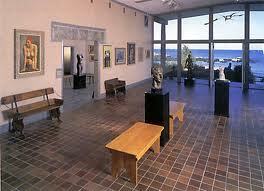 The Ogunquit Museum of American Art open May-October from 10-5 daily and is located at 543 Shore Rd, Ogunquit, ME. For more information on exhibitions, programming, and hours of operation call 207-646-4909, or visit their website at http://www.ogunquitmuseum.org/. Patrons can also get 50% off admission passes to the Children’s Museum of Maine for up to 4 people per day. On the day of your visit to the Children’s Museum, present the pass at the admission desk. The Children's Museum of Maine is located at 142 Free Street, Portland, ME. For more information on exhibitions, programming, and hours of operation call 207-828-1234 or visit their website at http://www.kitetails.org/. Don’t forget that the first Friday of each month the Children’s Museum has free admission from 5-8. Enjoy! The Wells Public Library has a membership to the Children’s Museum of New Hampshire in Dover! This membership allows our library patrons discounted admission to the museum with a pass obtained from the library. The pass can be used for 50% off admission for up to 4 people. The Children's Museum of New Hampshire is located at 6 Washington Street in Dover, NH. For more information on exhibitions, programming, and hours of operation call 603-742-2002 or visit their website at https://www.childrens-museum.org/. The Wells Public Library has FREE passes to the Brick Store Museum in Kennebunk, whose mission is to, “…ignite personal connections to local history, art, and culture through exhibitions, education, and programs celebrating the human experience in the Kennebunks and its surrounding communities.” The museum is open year round. The Brick Store Museum is located at 117 Main St, Kennebunk, ME. For more information on exhibitions, programming, and hours of operation, please call 207-985-4802 or visit their website at http://www.brickstoremuseum.org/. The Wells Public Library is excited now be offering passes to the Southworth Planetarium in Portland! These passes provide FREE admission for groups of up to 6 people at a time. The library can extend only 1 group pass per day on a first-come, first-served basis. The Southworth Planetarium is located on the University of Southern Maine campus at 70 Falmouth St, Portland, ME. For more information on show times and hours of operation, please call 207-780-4249 or visit their website at http://usm.maine.edu/planet.